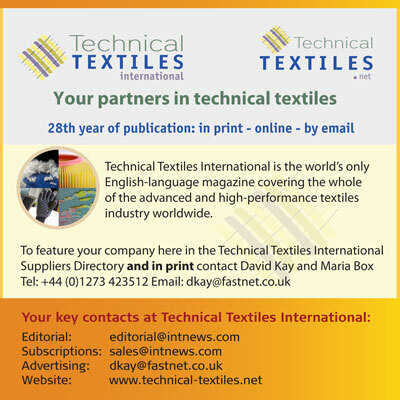 Welcome to our updated Buyer's Guide for the International Technical Textiles Industry, a fully up-to-date listing of the major companies worldwide indexed by function and country, published by International Newsletters Ltd, publishers of Technical Textiles International magazine. To locate a supplier of high-performance textiles, textile machinery, or related services simply find companies using the search page. Results can then be narrowed down by country. Major companies have an extended entry giving full details of their activities and direct links to their websites. To join this group email [email protected] and we will send you full details. To update your information please email [email protected].